School Board Support Services, the top school district support firm, is excited to announce that Nebraska is ranked 3rd in the nation for teacher salary, benefits and working conditions. In fact Nebraska is ranked 28 % higher than Colorado! SBSS provides valuble teacher salary data that’s essential to prepare school boards for intelligent teacher salary negotiation. We’re now in Nebraska! Call us to set up a consultation. 307.689.4964. 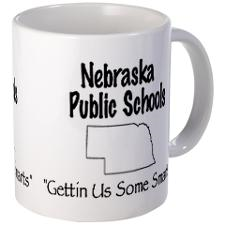 One Response to School Board Support Services in Nebraska! improving the quality of learning in our schools. equity, modalities and performance standards. help students achieve at higher levels. Education isn’t rocket science. Teachers teach and students learn. When either works harder at it, the results improve. producing nothing but thin air. we’re admiring the emperors new duds, one should admit and loudly proclaim that we see nothing of substance at all.